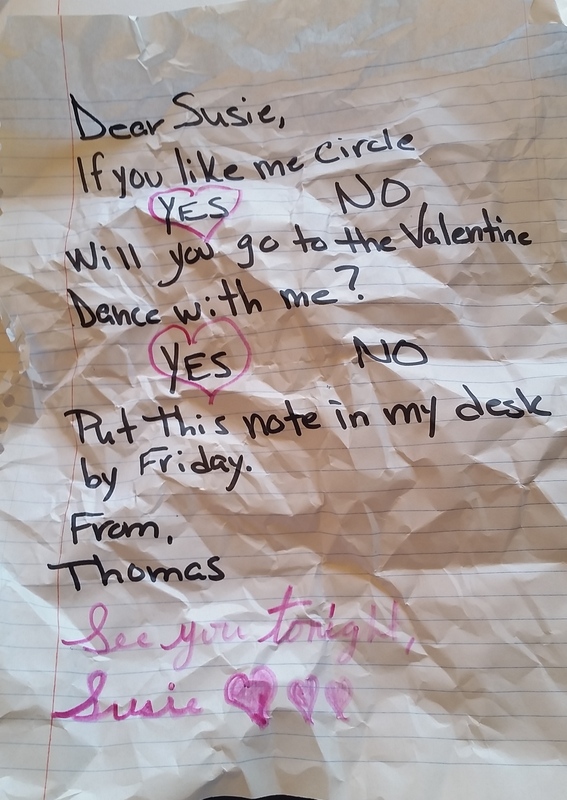 Old-school love notes beat texting every day of the week! Deb I am totally old school!! Love it! You captured all the anguish and turmoil of adolescence as well as the magic. Thanks Jaclyn!! I do remember those notes and all the feelings that went along with them. Of course it was even worse if a teacher found them lol! Aww, love it! This brings all the emotions of “puppy love” back! Thanks Gabi, that’s what I was going for! Thank you Greg. I remember these notes when I was a kid, so cute! 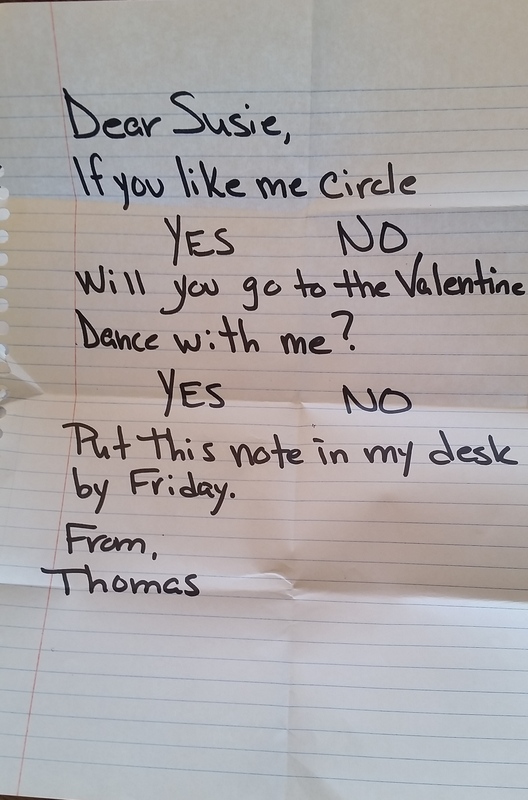 My now hubby asked me out with a note like that! We were in college and I answered with a giant chocolate chip cookie… YES in skittles. OMG Jen that is such a cute story, and that it happened in college is great!! We’re never too old for love notes or skittles! So cute! Love the note pictures…. Thanks Judith it was fun making them! That is really cute. I remember those days of passing notes. Creative approach to your story 🙂 Good luck in the contest! Thanks Christie, those were the good old days before the gadget explosion! The notes are a wonderful touch to this story. I want to read more! I wanted to write more but I maxed out at 214 lol! Thank you, I’ll have to keep working on it! I’m so happy things worked out for Thomas! Me too, I’m a sucker for happy endings! Love it, love it, love it! I used to put a little note in my kids’ lunch boxes…as well as in hubby’s day planner. Now I leave him a love note when I go out to the store if he is still asleep. Thank you so much for your kind words Vivian. I love that you still leave notes for your husband…so romantic! Poor Thomas, waiting in grumpy agony! So glad Susie came through 🙂 Love the old-school actual handwritten notes! So much better than the electronic version 🙂 Thanks so much for joining in the Valentiny fun, Jean! Thanks Susanna! I had fun writing those notes, brought me back to my own childhood. This was such a fun contest. Thanks for hosting as usual, and all your hard work, based on the time of your comment, it’s obvious you’re pulling a late shift like me! !